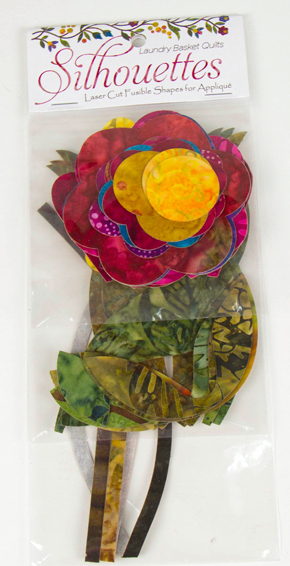 Edyta Sitar of Laundry Basket Batiks creates beautiful batiks and prints, then turns those fabrics into stunning quilts. 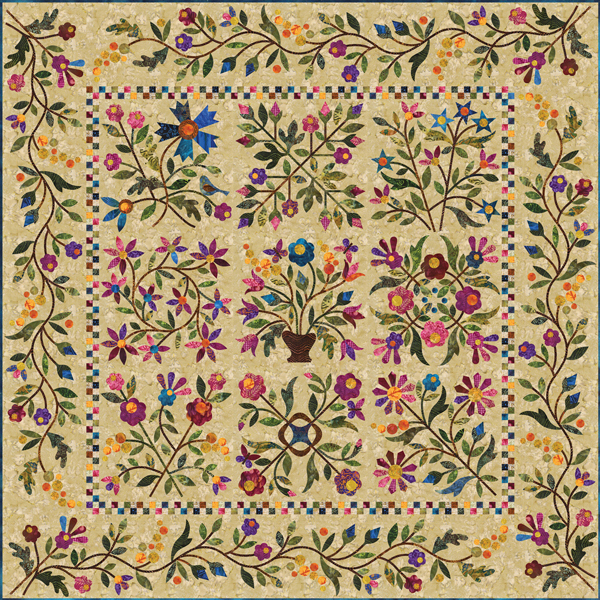 Her technique, skill and passion for the art of quilting is infectious to all that meet her. ready to arrange, fuse and applique. possibly the invention of the moda jelly roll™. 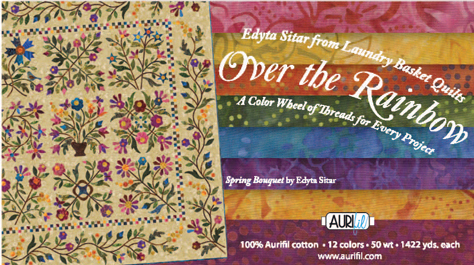 Watch the video below as Edyta introduces Over the Rainbow fabrics, Spring Bouquet Block of the Month, Silhouettes, and coordinating Auriful thread. 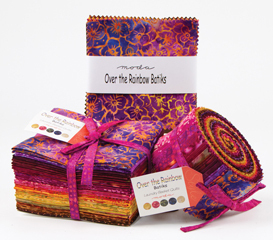 of the rainbow in this 50 piece collection. Edyta pays such close attention to detail. The silhouette shapes are individually packaged on one header according to the style of shapes to protect them as well as keep them organized. And of course, none of Edyta’s projects would be complete with out the finishing touch of Auriful thread. 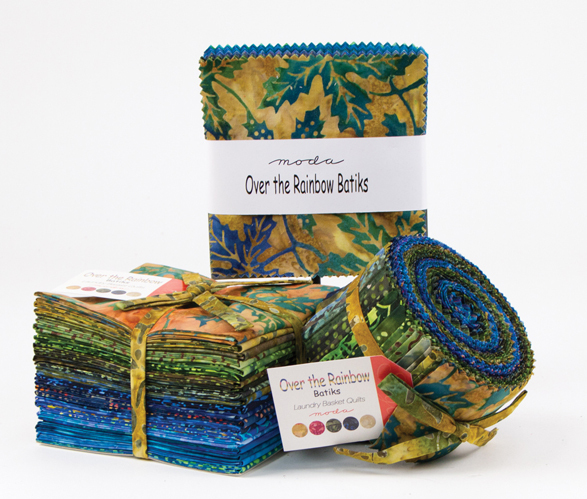 The thread sets will be available in 2 different sizes to take out the guesswork of trying to match thread colors. What use to be an completely unobtainable project, Edyta has now made it completely possible for me. Thank you for that. Ask for the fabrics, silhouettes and threads at your favorite store Summer 2012. Wow, that sounds really cool – my DH will be especially excited since he gets stuck cutting out really detailed stuff!!! Wow! Can’t wait to get my hands on all of that – the shapes, fabric – and that PATTERN! When will this fabric be in the stores?